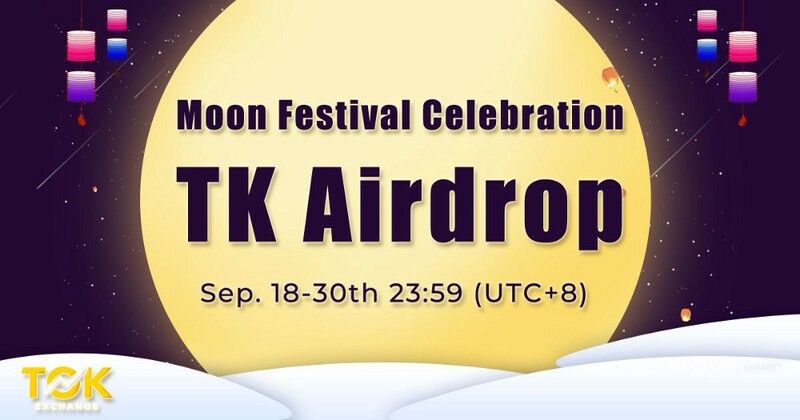 But to celebrate Moon Festival with TOK Exchange! No customer service on Sept. 24! All contents will be confirmed on Oct 1st, so make sure your comment lasts until then. TK deposits to qualified participants will be done by Oct 2nd 23:59. Join as early as possible before the airdrop is gone! TOK Exchange reserves the right of final explanation.